If you can rely on the Labour party for one thing it’s to make the worst of a good situation. David Cameron has gone to war on civil liberties and, worse, the BBC, Jeremy Hunt doesn’t seem to understand how the NHS works, Iain Duncan Smith is only one step removed from moustache twirling and tying women to railway tracks, Michael Gove has backed away from the Human Rights Act to focus on quietly undoing all of the changes Chris Grayling made at the Ministry of Justice, the government has run like a scared Vulpes vulpes from a fox-hunting amendment, the SNP are starting to face questions about how credible they are, the Liberal Democrats have elected Tim Nice-but-suspiciously-Christian to lead them and nobody has heard a peep from UKIP since mid-May. This should truly be pay-day for the Labour party. Instead they’ve got an interim leader who seems to think the final word in her job title, Leader of Her Majesty’s Most Loyal Opposition, is just there for show. They’ve got four contenders for leadership, one of whom appears to have signed up for the wrong party by mistake, two of which are made of pure bland and can’t speak without worrying that someone somewhere in the world who might have considered voting Labour will now change their mind, and one who is generally considered crazy for believing that Labour should be about something different to what the Conservatives are being about. 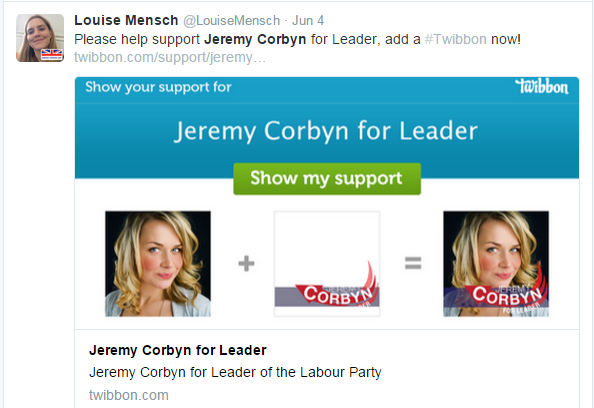 So crazy is the 4th candidate, Jeremy Corbyn, that his election campaign is mainly being run by The Daily Telegraph and party-swapping pit-bull journalist Louise Mensch. Corbyn is such a divisive figures that if he gets the leadership then many may leave the party, forming a new right-of-left, but left-of-right party. There used to be a party in that space, but they haven’t been heard of since their leader (another Jeremy!) tried to murder a dog in the 70s. A lot of people are worried that although they are proper socialists they are perhaps the only one. Labour talking-heads chatter about needing somebody electable to get into power and then implement the fairer society that we all want, without seeming to realise we can’t all want it that much if most of us aren’t willing to vote for it. We need somebody who looks and speaks and acts like a Tory, otherwise we’ll have an eternity of being ruled by someone who really is a Tory! Jeremy Corbyn may be dangerously unelectable, while being irresistible within the party, but there’s another Jeremy C who is incredibly popular and has recently become unemployed. Yes, if Jeremy Clarkson were to be put forward as the new face of Labour the party could be assured of a landslide in 2020, especially if Labour promised to make whatever is left of the BBC re-employ him. While some of Clarkson’s views may be at odds with mainstream Labour (for example, traditionally the party has been against shooing trade unionists in front of their families) it’s perhaps time for the restructuring that would be possible under a popular leader…especially if it means getting a taste of that lovely, lovely, government power. Picking a candidate who’s guaranteed electable is a tricky business, but as luck would have it there’s one person in the UK who we are 100% certain can get elected and, by happy coincidence, he’s announced that he’s giving up his job before 2020. I refer, of course, to our current Prime Minister, Mr Cameron. Some party stalwarts may question whether he’d be willing to move across the whatever it is they move across in Parliament – the thing that’s 2 sword lengths wide – but all it would need is a tiny step to the right for Labour. And think what the party has to offer him – no Boris snapping at his heels, no IDS trying to harvest his kidneys while he’s asleep, nobody, it seems, who’s in any way electable or a threat to him being in power until he’s been dead for 10 years and he’d be the first person to be PM as the leader of two different parties since Sir Henry MadeUp, 5th Earl of Wikipedia. Plus a couple of decade in power for Labour; that’s got to be worth something, even if it does mean having Cameron in change. A couple of years ago IBM demonstrated its Watson computer by winning the US game show Jeopardy! We live in a world where computers can read and understand human language, and that means that the Labour party could be run by a virtual leader, an AI which can read the comments section of every UK news site, total and up- and down-votes at dozens of calculations per second and conjure sound-bites and policies certain to have maximum appeal. No human-led party could possibly compete because under a sentient computer Labour could shift with public opinion on a whim without ever having to challenge the electorate to think of the longer term, or overcome selfishness in the pursuit of a better society or do anything that challenges their prejudices. 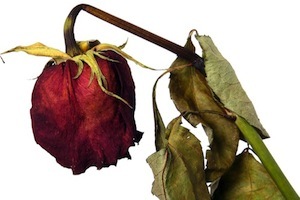 We could have the perfect Labour party; a one with no principle it won’t abandon, no loyalty to anyone and no links to its past…you won’t get that with Jeremy bloody Corbyn, will you?